I have a dozen or so mailing tubes stacked in my garage. They each have posters and subway art inside, one for each holiday. Almost all of the subway art comes from the ladies at Eighteen25. I now have a summer subway art to add to my collection. 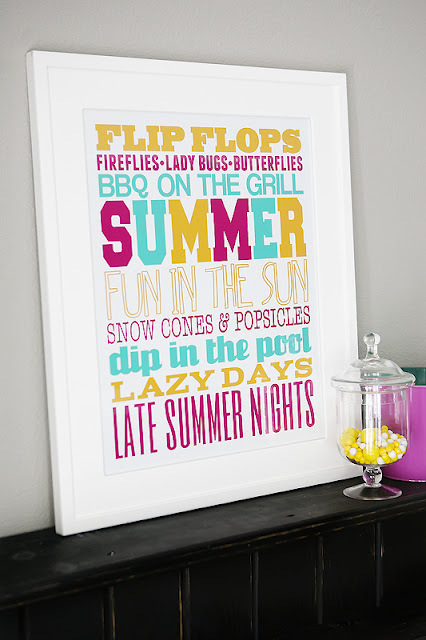 You can get this fun summer printable over at Eighteen25. And if you plan to use the same frame for all of your Subway art, you can just store it right in the frame instead of cluttering up your garage with mailing tubes!